If your home or business is an area where it doesn’t have access to the municipal water system, then you probably use a well. It can be nice to have access to your own water on your property, but it can prove to be inconvenient when your well water system isn’t working. 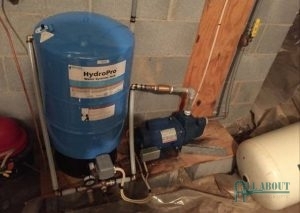 While it could be the tank that is the issue, or some other component, more often than not, its the well water pump. The well water pump is a device that is used to lift water from underground and into your home or business. Because that is the very part that provides water to your home or business, when it’s damaged it can prove to be pretty stressful. Without a working well pump, you aren’t able to wash, clean, cook, bathe, or drink water from your home or business. When your well water pump isn’t working, you need to call a professional who can repair it. There are a couple of ways to determine if you need well water pump repair. There is no water coming from any of your taps. There are strange sounds coming from the well water tank. An occasional spray of water will come from the faucets. The well water pump is turning off and on for no reason. The well water pump is turning off too quickly. If you are experiencing any of these issues, call the water well pump repair contractors at All About Plumbing & Septic. We are able to provide business and home water well pump repair in Mills River, Hendersonville, and Asheville, NC. To schedule an appointment for well water pump repairs, call our office at 828-778-2425. If there is no water flow coming from your faucets, you have inadequate water pressure, or your well water pump is always running, it’s time to call a professional. While the well water pump might just need repairs, there are times when the pump might need to be completely replaced. In addition to the symptoms listed above, if you are experiencing dirty water coming from your taps and really high electric bills, it is worth calling a technician for help. They are able to inspect the well water pump and determine if repairs or a replacement are needed. If You Need Well Water Pump Repair, Replacement, or Installation, Please Call Us Today! With the help of a technician, they can determine if the well is the issue, the equipment, or if something is wrong with your plumbing. If there are issues with the well, there is not much they can do, but if there are issues with the well equipment or plumbing, they can offer plumbing repairs and replacements. To ensure that your well water pump system is in good shape, call us for well water pump repair in Mills River, Hendersonville, and Asheville, NC. If we find that the well water pump is too damaged, then we will replace it with a new pump. Whether you had a particular well water pump but now you are wanting to try a new pump, we will work with you to see if the well water pump you want works for your home or business. We are happy to offer well water pump installation services, as well as well water pump repair in Mills River, Hendersonville, and Asheville, NC. If you need to talk with a technician about the features of the pumps well install, please call us at 828-778-2425 to learn more. If you are needing to replace your well water pump or you need repairs, there is nothing we can’t handle at All About Plumbing & Septic. We are the company to call when you need water well service for your home or business. If you would like to set up an appointment time that is convenient for your schedule, dial 828-778-2425 to speak with one of our technicians. We will be able to find a time that works for you and head out to your home or business to provide you with water well pump repair in Mills River, Hendersonville, and Asheville, NC or replacement or installation service. Ensure your well water pump is in the best condition by working with our professional technicians. Updated on January 18, 2019 at 10:18 am by All About Plumbing.